Do you know exactly how your procurement is organised and the costs that arise for indirect requisitions from an individual order? 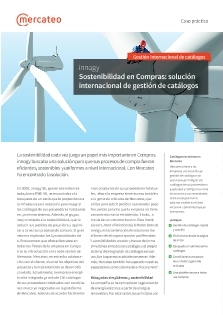 Are you aware of your individual savings potential with the procurement of indirect materials? With this study, you get a guide which helps you to optimise the procurement of your indirect requisitions and discover strategic potential for your company. Do you have potential to offer? 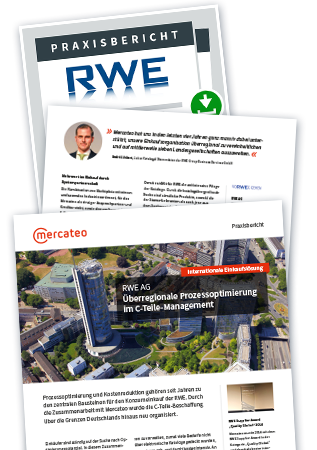 For the first time, this study was completed by Mercateo in cooperation with HTWK Leipzig (Leipzig University of Applied Sciences), and helps you to identify hidden potential in terms of your procurement. On the basis of the information gleaned from over 100 procurement specialists, it proved possible to assess the process costs down to the individual steps and to make them comparable across different types of process. 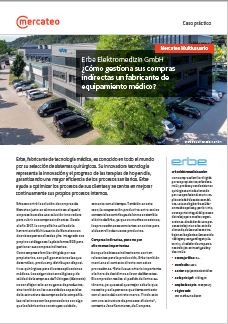 Which processes are used in German companies for the procurement of indirect materials? The companies surveyed had three possible responses, which demonstrated the different ways in which structured purchasing processes are used. The majority of small and medium sized companies is not using the potential offered by digitisation. With the use of digital tools and processes, there is a clear difference between large and small companies. The bigger a company is, the more likely it is to use digitally supported processes. The digitisation of purchasing processes is not the only thing that depends on the size of the company. In general, the smaller a company is, the less likely it is to have a standardised purchasing policy. This is an area in which small companies have a lot of catching up to do. With the purchasing of indirect materials in particular, the price of a product accounts for the lowest share of the overall costs. Depending on the process which is used, different costs apply, from the purchase requisition through to the payment of the invoice. The study demonstrates: Companies are only able to reduce costs on an efficient basis if they use a digital purchasing process. 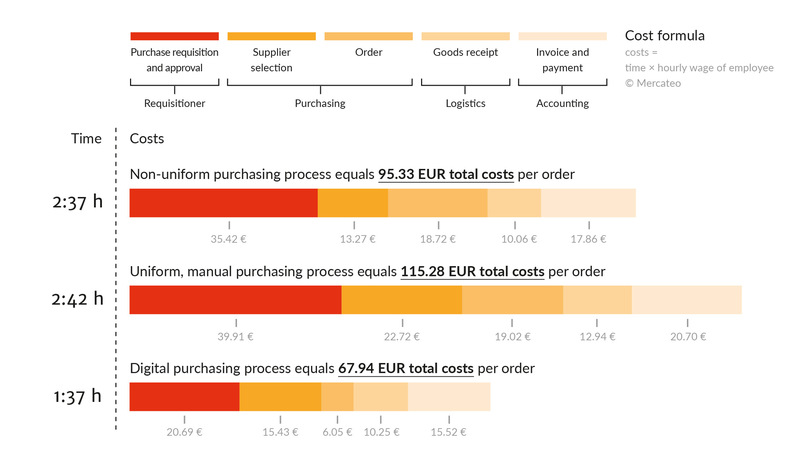 If a company does not have a standardised procurement process, 95.33 Euros in processing costs are added to the product costs. 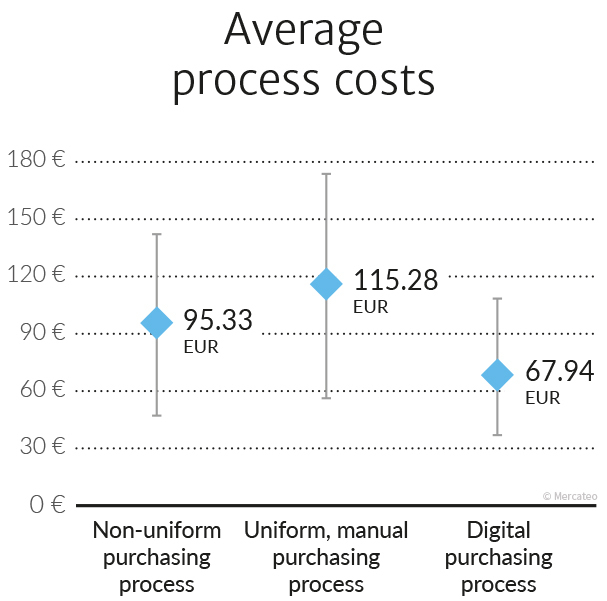 The processing costs increase in companies that decide to use a uniform manual process. This adds 115.28 Euros in processing costs. It is clear that a standardised procurement process can only be an intermediate step and has to be supported on a digital basis in order to reduce the procurement costs over the long term. 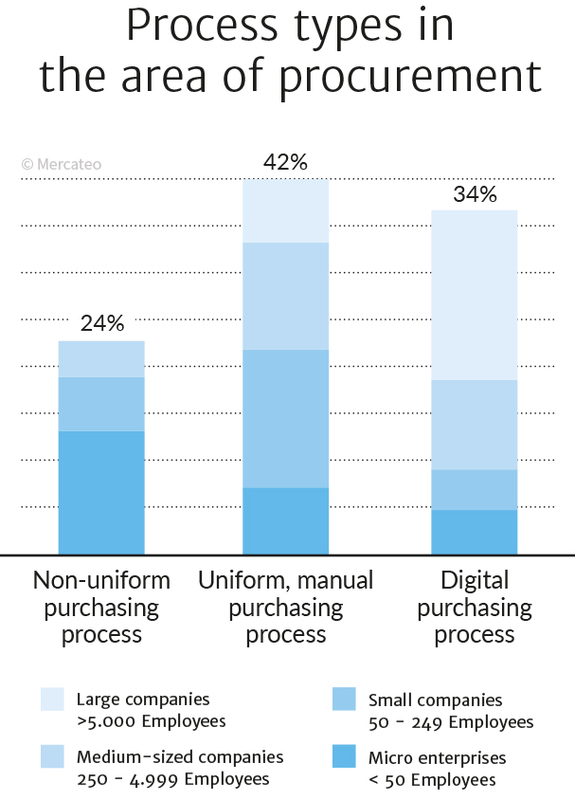 Digital procurement processes aren’t just efficient, they are also inexpensive. Every order results in an average of 67.94 Euros in processing costs. This results in potential savings of more than 40 percent. Time is money, and this principle applies to optimised purchasing in particular. Companies which opt for digitally-supported purchasing can achieve major time savings and make cost savings, all the way from the purchase requisition to the payment of the invoice. 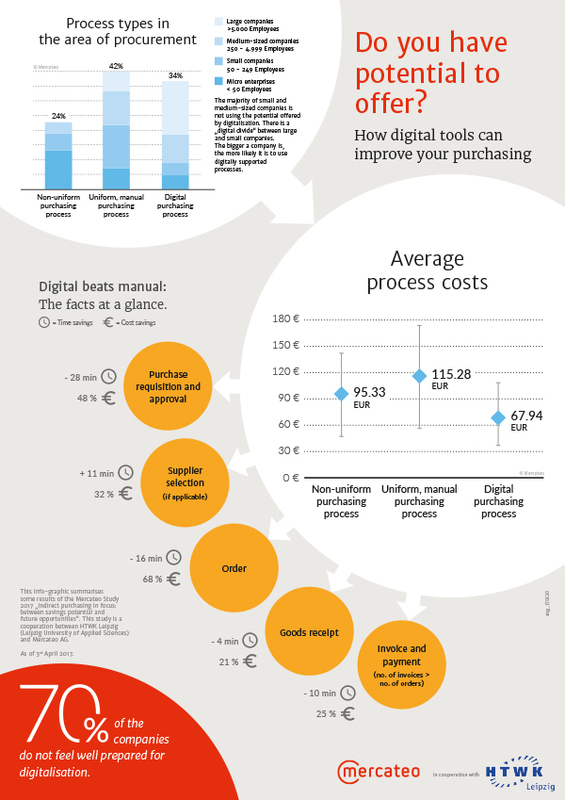 In comparison with a manual procurement process, the processing costs of a digital procurement process are far lower. Instead of almost three working hours, a digitally-supported procurement process takes just 90 minutes. If companies decide to use digitally-supported procurement processes, they gain up to an hour of working time, distributed across the individual departments that are involved. This saves resources and eases the workload. There is therefore more time for important business, and those involved can focus on the things that really matter during their working day. Of the companies to be surveyed, 70 percent see themselves as being insufficiently prepared for digitisation. When purchasing processes are digitally supported, however, the potential in the area of purchasing is easy to access. This is shown in the comparison in the info-graphic. Further information about the study, the key results and the personal contacts are available on our media page. You can download the info-graphic and the press release on the study here. You can download the study itself easily via the contact form on this page. The survey shows the hidden potential and process costs during the procurement of indirect material in your company. With the results of the survey, companies can evaluate procurement processes and generate efficient savings on the basis of a targeted optimisation of the processes. 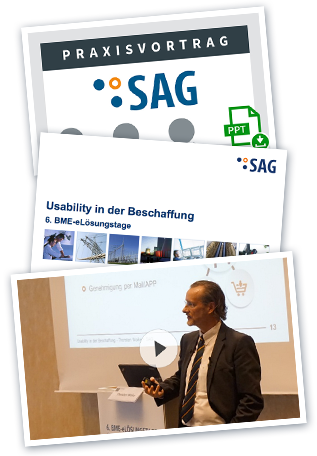 The study was completed as a shared research project with Leipzig University of Applied Sciences (Hochschule für Technik, Wirtschaft und Kultur Leipzig / HTWK Leipzig) with the goal of creating a reliable portrayal of procurement process. 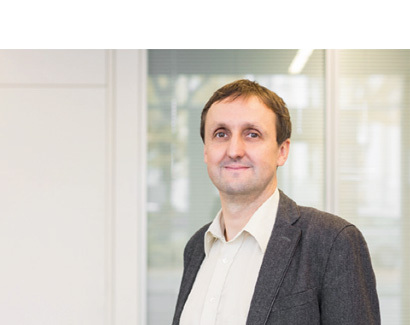 The study was coordinated by Mr Prof. Dr. Holger Müller of the Faculty of Economic Sciences at the HTWK Leipzig.